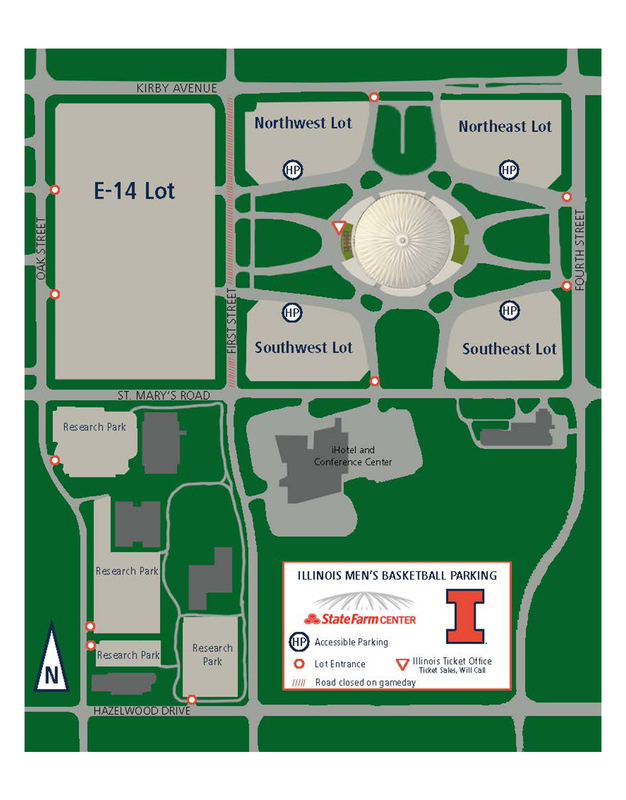 State Farm Center Illinois Premium Seating members receive a season parking pass via their I FUND membership. For guests without a parking pass, fees for men’s basketball games are $9. Parking on men’s basketball game days is limited. E-14 has a limited number of single game purchase spots and is sold on a first-come, first-served basis. Lots for men’s basketball games are open 2 hours prior to tipoff.